My-Island-Jamaica.com was born from the sheer love and passion for Jamaica by a native, Wellesley Gayle in March 2007. Since then, it has grown at a rapid pace and is now arguably the finest locally managed and most popular, non-media or non-governmental website. The site has as its slogan “Sharing the Uniqueness of Jamaica With The World” . That fits strategically in line with its profound belief that Jamaica and the Jamaican people are distinctive and special in many ways. The website provides insightful information on all things Jamaican, but is positioned more towards individuals seeking insightful information on Jamaica vacationing, Jamaican products and services and country research. In addition to the wealth of information, My-Island-Jamaica.com reviews favorite restaurants, villas, hotels, shops, activities and adventures in Jamaica. Through Wellesley's eyes, the site recounts his explorations, adventures and discoveries in Jamaica from the West to the East of the island. And visitors enjoy the unique flavor of the site, often cherry-picking and printing out what to do on their Jamaica vacation. Many, by the way, are ardent followers and subscribers to the site, some even contributing their own fascinating stories. The website has been featured on both local and international domains. This includes a recent special feature in the Gleaner’s Hospitality Jamaica. This young site now already has an excellent and enviable Alexa rank of under 187,000, and has earned direct links from over 250 reputable and authoritative sites. These sites include USAToday.com, Geni.com, Amazon.com, Reference.com, Wikipedia.com and Frommers.com. 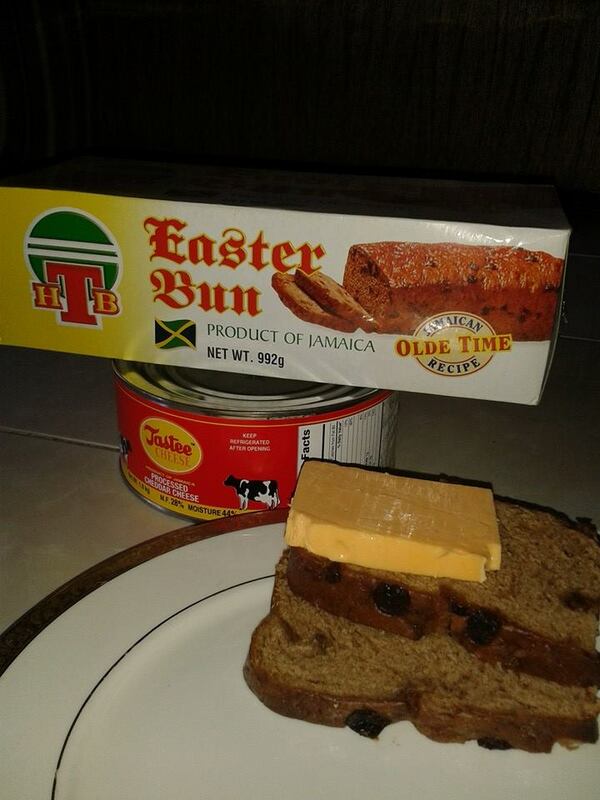 The benefits of sponsoring a rising and highly respectable Jamaican brand are many. My-Island-Jamaica.com provides you the perfect springboard to get your message out and get more business. My-Island-Jamaica.com is highly respected online, thanks to Wellesley’s direct, honest, friendly and personal tone. Today, many of the visitors have formed strong bonds with him and other users of the site and have essentially created a strong virtual Jamaican community. They trust My-Island-Jamaica.com and will be warm to any recommendation, suggestion or reference made. This includes YOU, your product or service. My-Island-Jamaica is not only respected and regarded by the thousands of persons and other authority sites, it is also highly respected in the ‘eyes’ of the search engines. A page rank (PR) of 4, an Alexa.com ranking of under 300k, a top 1% standing [of the over 350 million websites online], high positions in the search engines all combines to ensure a solid online presence that will directly benefit you. How? By consistently driving highly warm qualified visitors to your business daily. The significant majority of the site’s traffic arrives via the major search engines. But it’s not just any or all traffic, it is targeted traffic, meaning traffic that is directly related to the ‘Jamaica’ theme; directly in line with your business. If you try one of them (eg. 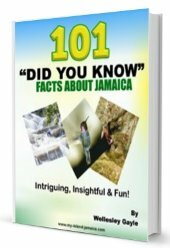 "places to visit in Jamaica", you'll likely see My-Island-Jamaica.com on the very first page – and perhaps in the number 1 spot! Can YOU see a direct link between any of these keywords and your business? The site also swanks a warm and fanatical subscriber list of well over 2,000 fun loving Jamaica enthusiasts -a virtual gold-mine when trumpeting a sponsors’ message – yes, YOUR message. Your message and sponsorship will be acknowledged here for all to see. Mailings, by the way, are delivered every two weeks - at minimum. That traffic from the search engines, by the way, is ever growing. At May 2012, it had an impressive MONTHLY average of 153,836 new visits and 82,312 returning visitors - per month! That translated into a healthy 675,114 page views for that month; that’s over 8 million page views for the year (annualized). Very impressive for a non-media, nongovernmental, website. Do you think that even a fraction of these persons may be interested in your product or service? You be the judge! You’ll notice (above) that although the site has a wide global reach, it does boast a disproportionate percentage of visitors from the USA - making it pure gold especially if you are looking to reach the lucrative US market. In addition to direct search engine traffic, My-Island-Jamaica.com also boasts lively and interactive facebook, twitter and Pinterest accounts, where thousands of like-minded Jamaican enthusiasts drool about all things Jamaican - from beaches, hotels and attractions to food and music. These social media platforms will also be used to smoothly and unobtrusively recommend your product and service. In total, My-Island-Jamaica.com’s helpful, honest, active, supportive and engaging community provides the ideal target market for YOUR advertisement investment. That is in addition to its strong ‘Jamaica’ presence in the search engines; people searching for information and products or services on various aspect of Jamaican culture are finding this site. These are exactly the audience you want and you may reach them exclusively, giving you a strong edge over your direct competition. That’s the value of My-Island-Jamaica.com! My-Island-Jamaica.com is now accepting a limited number of sponsorships on an exclusive basis. Note: You must truly have an excellent product or service though. My-Island-Jamaica.com will not work with a company that would result in clients having a sub-par experience. In fact, in the top two sponsorship packages, My-Island-Jamaica.com will request to do a personal review of your product or service prior to sharing it with its visitors. This investment is much more affordable than you would ever guess! Big 160 x 160 button ad on the right column of all pages on My-Island-Jamaica.com for your product. Prime location; top 30% of the right column. Free permanent keyword optimized page, showing a personal My-Island-Jamaica.com review of your product and detailing the value of your product or service. This will also include product details, pictures and direct contact information. Inclusion in a special ‘Valued Sponsors’ page linked directly from the right column of all pages, the My-Island-Jamaica.com blog and the Facebook fan page. We currently have three exciting packages- Diamond, Platinum and Gold! The example above, by the way, is actually a real one of our packages. Contact My-Island-Jamaica.com and let's discuss your options. 2. direct-response market your product or service straight to your prospective clientele. I’m patiently awaiting your contact. Why Limited Sponsorship Space though? This is not a "commercial" website, so there are few sponsorship opportunities. My-Island-Jamaica.com seeks only a small number of quality partners, on a category-exclusive basis, who want to create win-win-win (You-visitor-My-Island-Jamaica.com) promotional partnerships. "Never lose what My-Island-Jamaica.com is all about... Our love for this beautiful island!" Return to My Island Jamaica Homepage from Sponsorship Prop.